New Sand At Nauset Beach On Cape Cod. They have also taken some of the parking lot away to make room for the extra sand as the ocean keeps moving inward. The first photograph is of the restrooms. You can see there is only a small strip of sand dune between the building and the beach. The ocean looks mighty close. 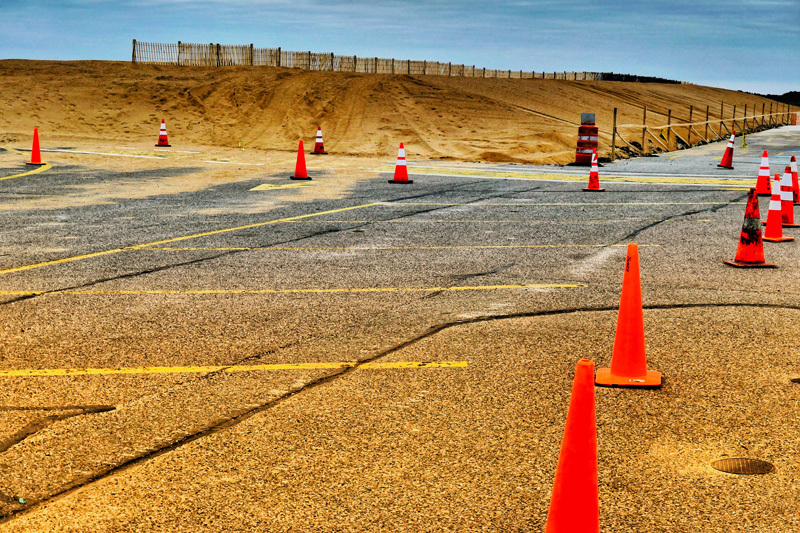 In the next 2 photographs you can see where the parking lot has been dug out and sand piled on. It is an amazing work in progress. 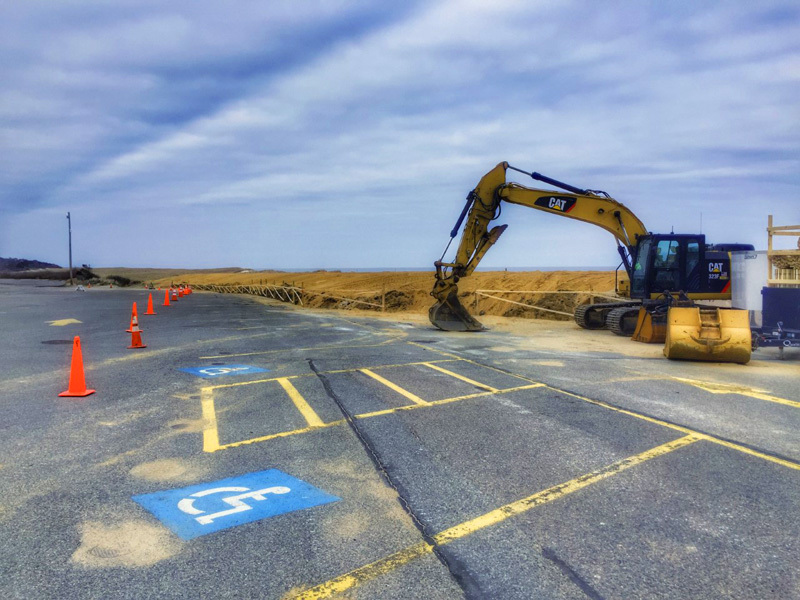 We’ll keep you posted as they work on ever popular Nauset Beach before the summer. Amazing, don’t you think? 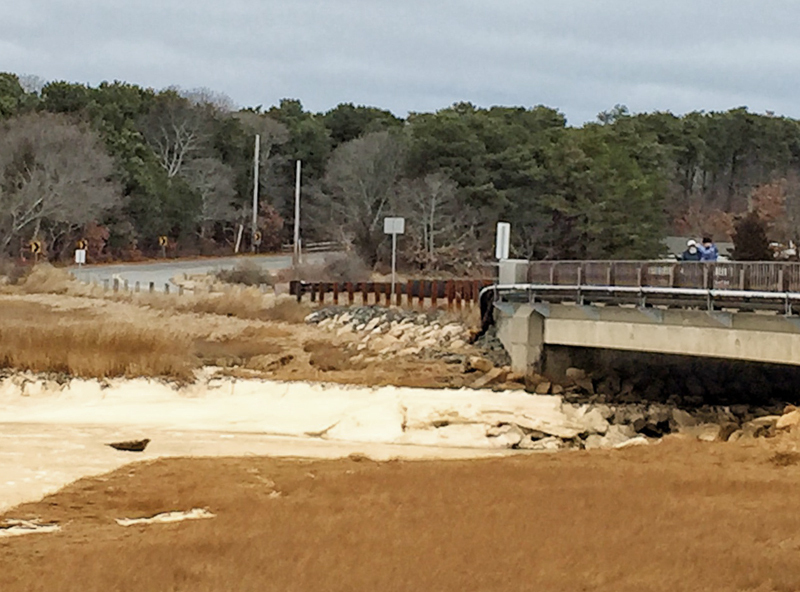 Nauset Beach On Cape Cod Is Changing With Lots Of New Sand! 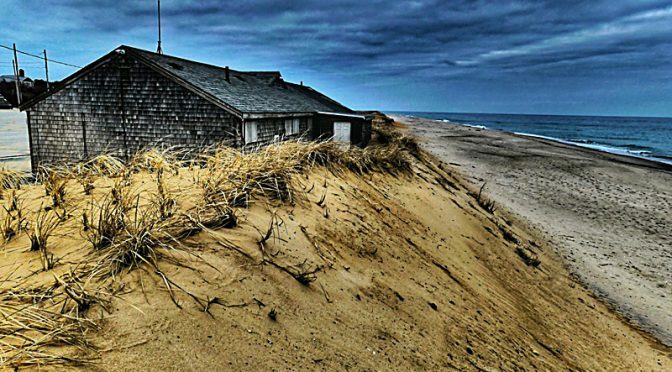 Nauset Beach, a very popular beach in Orleans and part of the National Seashore, got hit by two huge Nor’easters last winter and lost Liam’s, its famous Clam Shack as well as a huge amount of dune sand. They have brought in an unbelievable amount of sand this past month to build up the dunes. You can see the new sand, as it’s a much lighter color than the original sand. 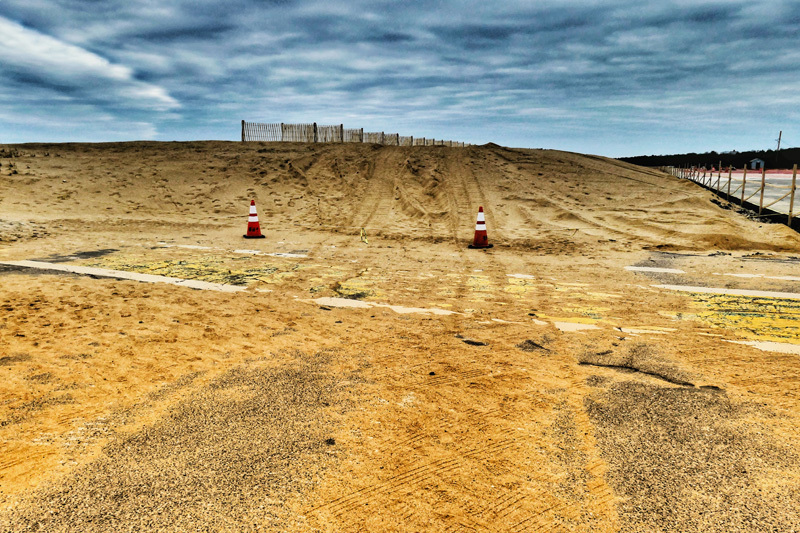 With the new sand, the dunes are now 15-20 feet high. You can also see where they have put in some fences and planted some beach grass, hoping to contain the dunes. We’ve been lucky so far this winter. I’m sure everyone has their fingers crossed. Gorgeous beach, don’t you think? 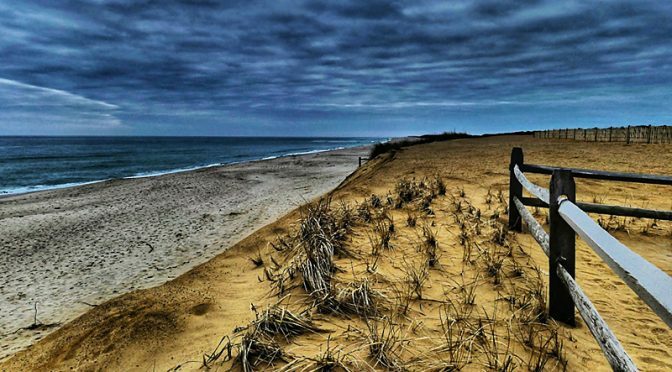 Have you ever been to Nauset Beach? 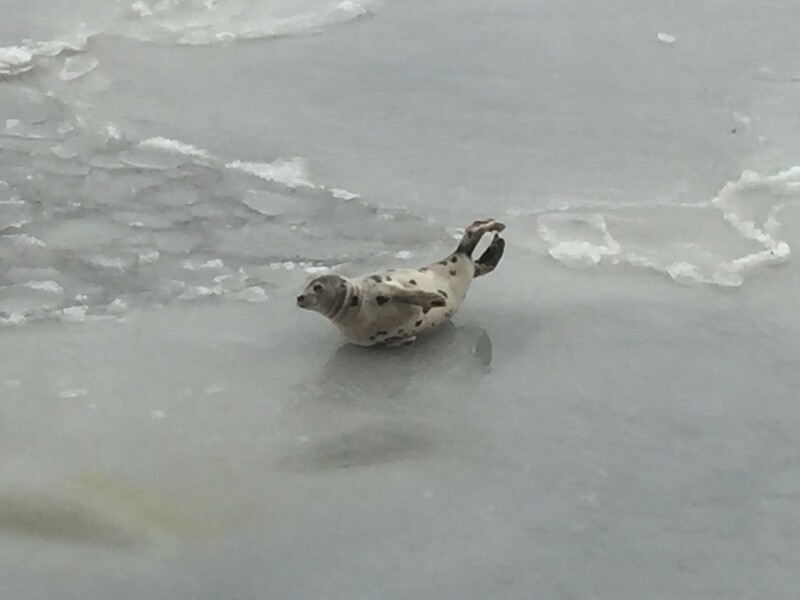 Harp Seal At Boat Meadow Creek On Cape Cod! Boat Meadow Creek has frozen over in the past few days. When we were driving by yesterday morning we saw something large on the ice and we had no idea what it was. I got out of the car to investigate (hope you enjoy the whole story with photographs). 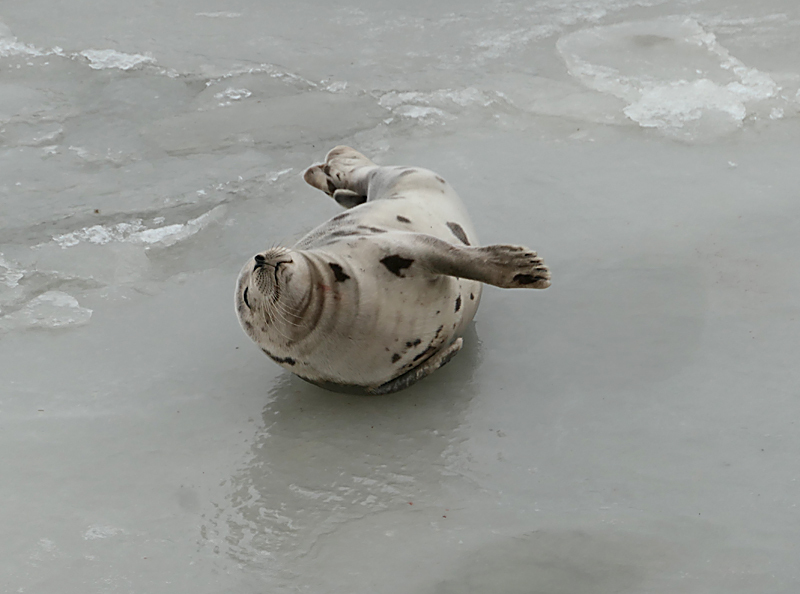 “IFAW is a global non-profit organization that protects animals and the places they call home.” Andrea is based out of IFAW in Yarmouth Port, MA and helps to monitor marine mammal rescue and research. She was very informative as I clicked away. You can see by the photos that this guy was quite at home on the ice. I especially like the photo where his back flippers form a heart. Quite a surprise for a Sunday morning as you can see me photographing the seal from the bridge! 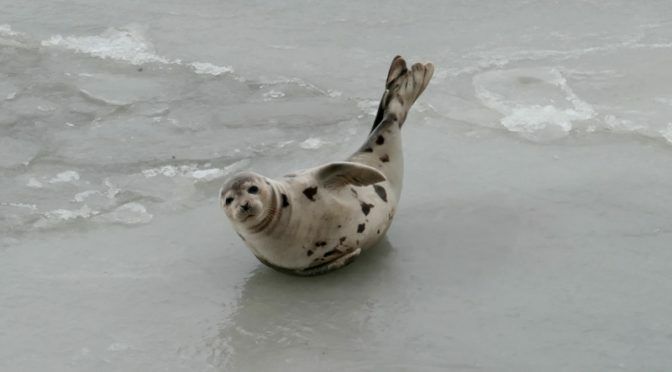 Have you ever seen a Harp Seal? 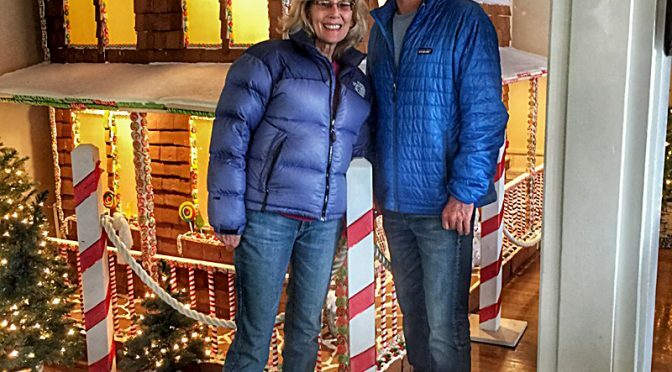 Awesome Gingerbread Train Village At The Chatham Bars Inn On Cape Cod! 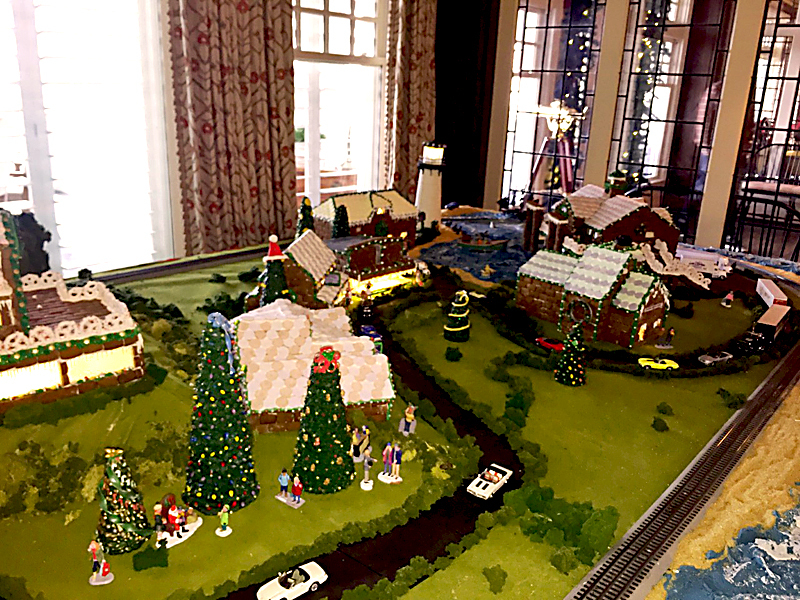 If you want to see a really cool train exhibit made of Gingerbread Houses and replicating The Chatham Bars Inn, check out the front lobby at The Chatham Bars Inn. It is really amazing! Each unique building is made of gingerbread. I was most impressed when I saw that the roofs were made of Necco wafers as I knew they were taken off the market recently due to decreased popularity. We used to love them growing up, especially the pink ones! Pretty cool, don’t you think? You can even push the button and watch the train go around! 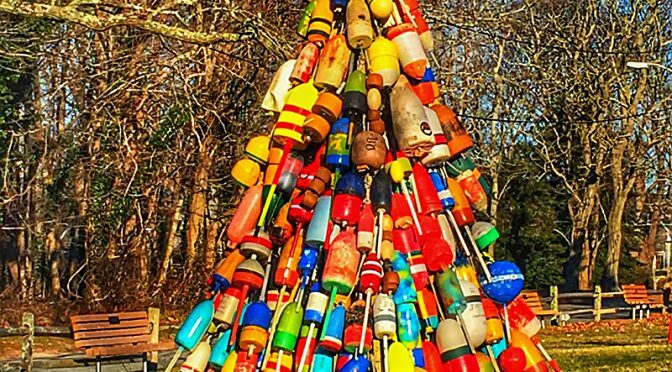 An Authentic Cape Cod Christmas Tree! I love this new Christmas tree on the town green in Eastham. 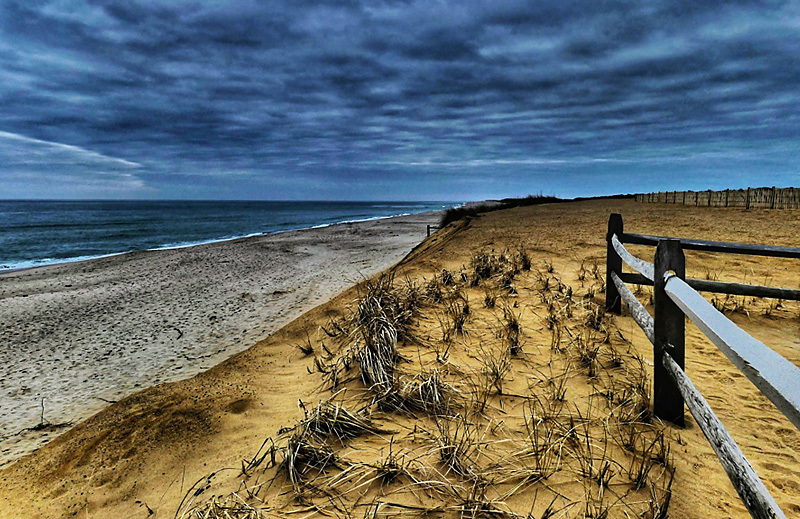 It is perfect for Cape Cod! 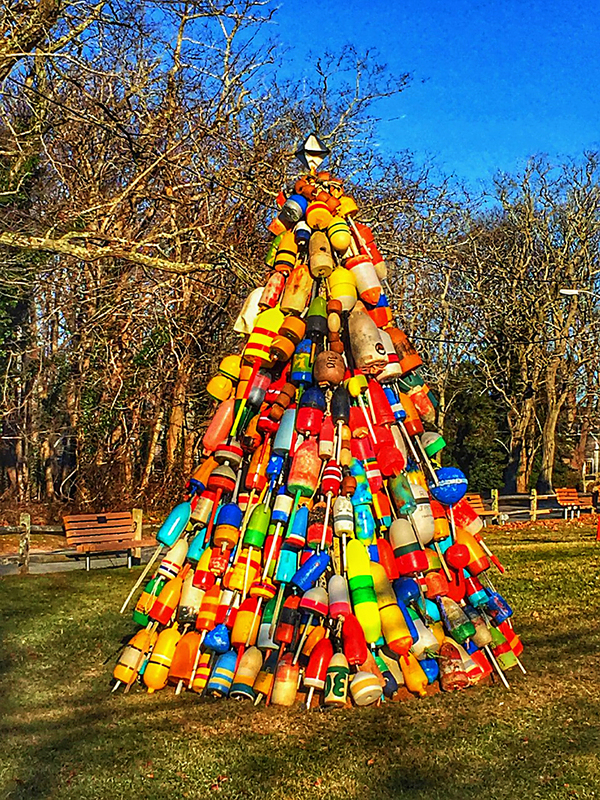 Wishing you all a Cape Cod Merry Christmas and a Happy Holiday! Family Time On Cape Cod At The Chatham Bars Inn! 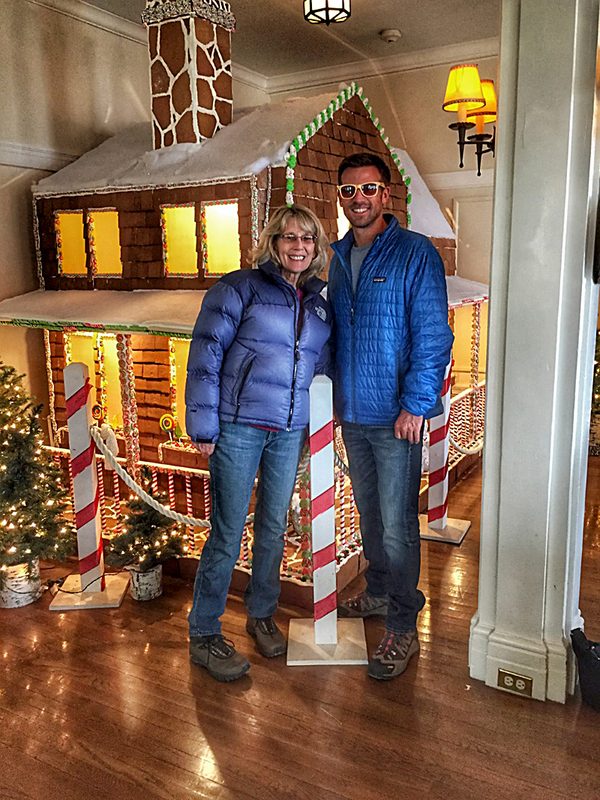 It is so much fun when my son from California comes to visit for the holidays! It’s time to frequent our favorite restaurants and go beach-hopping! 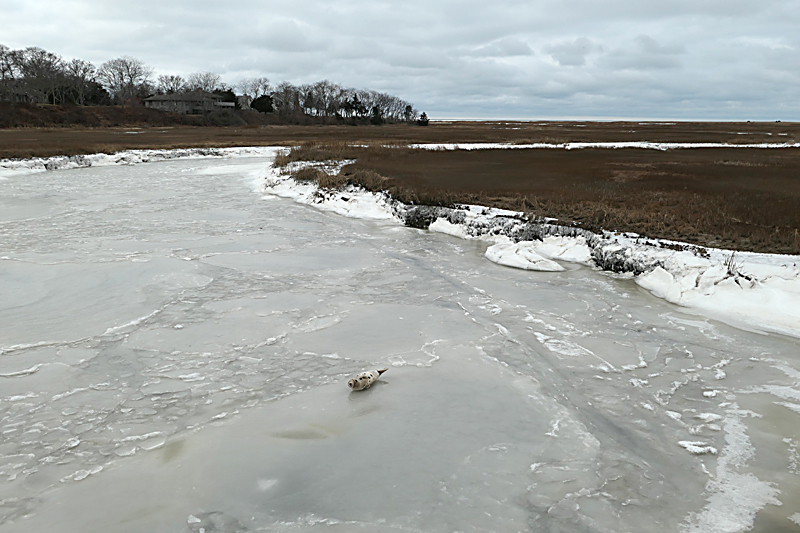 I think we walked on 6 beaches on this day from high tide at Nauset Beach, Coast Guard Beach and Nauset Light Beach to the low tide flats at Rock Harbor and Cape Cod Bay beaches. He’s always impressed when Coast Guard Beach is voted in the Top 10 Beaches in the USA. 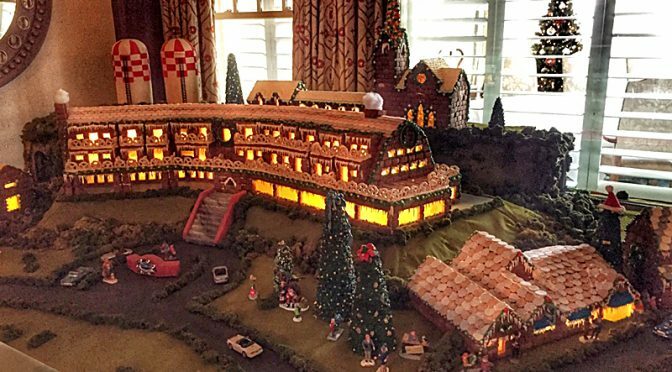 This is a life-size Gingerbread House at the Chatham Bars Inn. It is so cool! Their Christmas decorations are just beautiful!